For rooted Android smartphones and tablets, sometimes you may need to flash IMG files (files ending in .img). 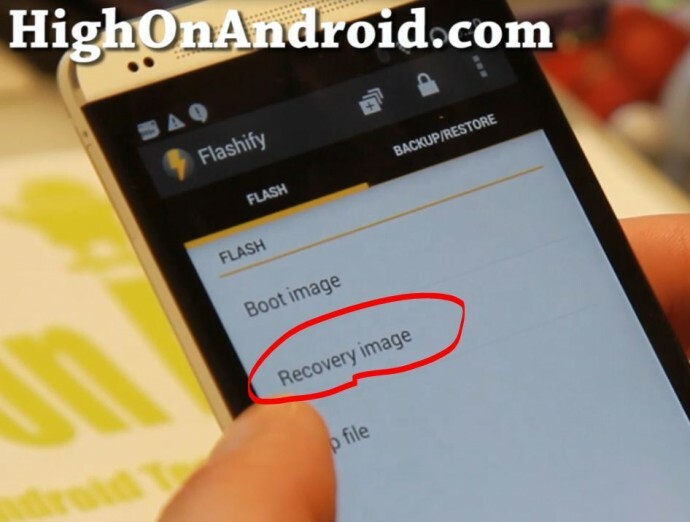 Whether you are flashing recovery image such as CWM or TWRP recovery or flashing boot image, it’s always a complicated task involving fastboot command with a computer OR terminal emulator with dd commands. Now, there’s an easier way to flash img files on any rooted Android device using an app called Flashify. I ran into this problem while trying to flash a modded version of TWRP on my HTC One. I wanted to find an easier way for users to install IMG files instead of using fastboot. Also, there are many times when GooManager app doesn’t work and fails to install TWRP recovery. For those frustrating situations, Flashify app makes flashing image files simple. Step 1. First, make sure you have a rooted smartphone or tablet device. Step 2. Next, download the image file you want to install. In this example, I have downloaded a TWRP IMG file to my phone. Step 3. Install and run the Flashify app. Step 4. Make sure you hit “Allow” when Superuser request window pops up when opening the Flashify app. There’s other options like “Boot image” if you want to flash boot image (this could work well on older phones like HTC One X with S-On, where you are forced to use fastboot to install boot image. Just flash boot image before installing ROM.). Step 6. Next, choose the file you want to install by choosing “Choose a file”. If you are installing standard CWM, TWRP, or Philz, it can even download the image file for you. Step 7. Choose one of your file explorer apps. If you don’t see any, try downloading ES File Explorer app from Play Store. Step 8. Browse your storage and choose the IMG file you want to flash. Step 9. Choose “Yup”. That’s it! After installing the modded version of TWRP I wanted to install, my TWRP recovery has updated wonderfully as shown below. I think there may be many instances where this app may be very useful but certainly in this case, it saved me few minutes of connecting my phone to my computer, running fastboot, and installing this custom modded version of TWRP I wanted. 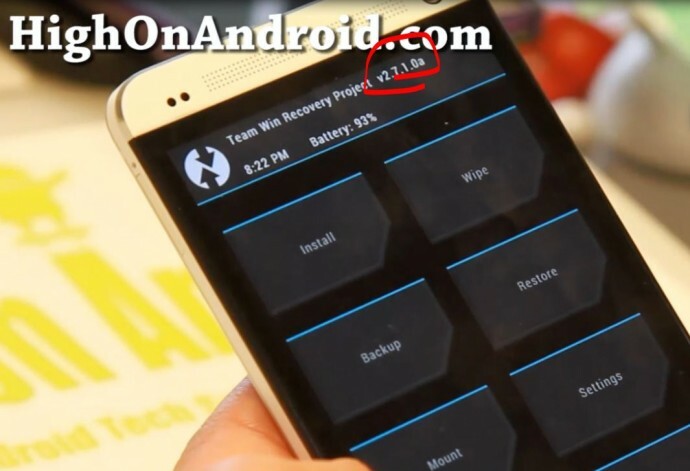 I cannot get flashify to upgrade CWM v6.0.4.8 Recovery for HTC One X M7. Hey there I have the same problem. What was yout solution??????? In the end I just went back to using fastboot, which worked fine as always. Flashify seems like a waste of time for this purpose anyway. hi bro..i can`t get unlock or root Galaxy note2 verizon…how can you root and unlock it? Do we have to choose a certain image or could we just choose the recovery mode? As kn image 4 shows choosing own image can i just click the twrp image? Muchas gracias me funciono !! 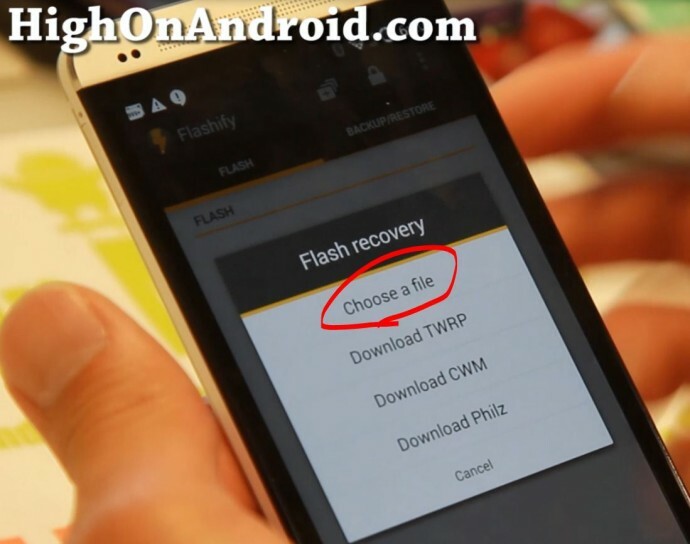 why does the previous page state “If you have a rooted Note 3, you can easily install CWM or TWRP using Flashify app.”? how is that possible if 9005-cwm-recovery 6.0.4..4.1.tar, is a .tar file?? Flashify will only install .img files? I can only install CWM to my Note 3 via ODIN….. Thank you so much. Worked first time after several failed attempts using Odin. I owe you a pint sir! Will this work for mtk devices? Can we install img files such as laf.img and ect? does anyone know where they backed up files are stored? Flashing TWRP on my Galaxy Note 4 resulted in severe touch screen offset. The touch is off by an inch to the left. Using the pen is still working however. Any ideas on how to solve it? I unrooted the phone and flashed stock recovery and rom but the offset is still there. Help please. Okay, so i tried this on my Galaxy s6 sm-920p and now I cannot get into recovery mode at all, any suggestions? hey i followed your steps for root process it worked great, then i went installed flashify and selected flash chose twrp instead of chose file and chose a s6 edge usa latest version twrp now im stuck on the boot screen and it wont go past it. I have the same problem , were you able to get yours resolved and if so what was the solution? have the same exact problem. Did you ever find a way to fix it? after installing Twrp when i tried to recover it, its Sowed “Locked” **my phone is rooted. Installed on Windows 8.1, asking for drivers. Cannot install drivers no matter what I tried. Exact same things for Windows 10. Why? can you please help me how can i fix my phone because i accidentally click the boot image on my phone then now it’s stuck in boot loop and i can’t fix it because i don’t know how to fix it. You are the developer of this application and i am hoping that you know how to fix it. Please help me what should i do? Next story Android 5.0 L Preview! 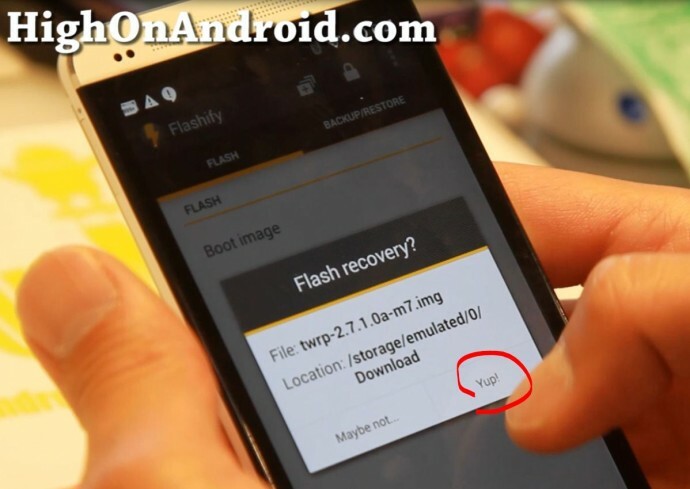 Previous story How to Install Flash Player on Android 4.4.2/4.4.3/4.4.4 KitKat!